Today at school, we made some cupcakes. They were small, cute and utterly delicious to those who adore peppermint (Je le deteste, c’est vrai!) but even with the fresh minty aftertaste, I didn’t mind licking the batter bowl! But there are a couple of reasons of why nothing was what it seemed with these cupcakes – off leading, slightly upsetting and downright weird! 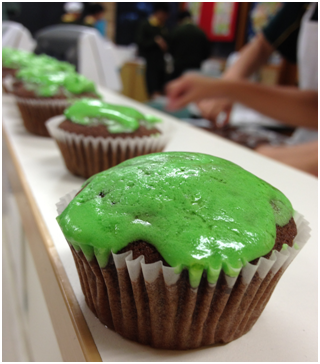 For one thing, the icing – the Shrek green icing was a vanilla buttercream! 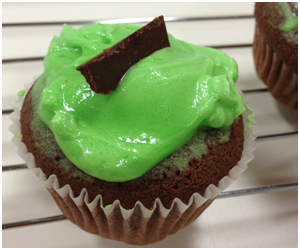 When I see green, I see mint, but the icing bowl was my haven! Secondly and obviously then, the mini rich chocolate cupcakes were filled with pepper mint essence, which was totally not expected either! To be honest with you, I actually rather liked how it looked – I am strictly a piping and waiting girl (no matter how hard it hits) so when I saw melting icing for the first time, it was a real treat! It looked pretty cool to me and I can’t decide whether it was because I had never seen it before or because it actually looks pretty awesome – why don’t you tell me :)? Topping: Beat together butter and sugar until light and fluffy. Add in essence, food colouring and water is necessary. Beat until smooth and creamy. Swirl or pipe over cakes. Finish with grated dark chocolate. EAT! P.S Personally, I think you could make this a really cool peppermint candy cane Xmas style cupcake with the festival so close! 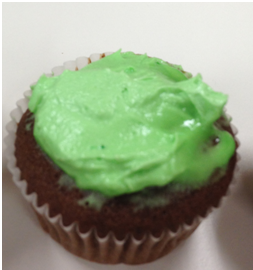 – Use white shortening in the topping (same amount), and divide the frosting in two, adding red food dye to one half. Pipe one frosting and then the other inbetween for candycane frosting – ALSO, garnish with a small candy cane and put chopped up canes inside actual cupcake – CUTE! Je déteste la menthe aussi! But they look good anyways. 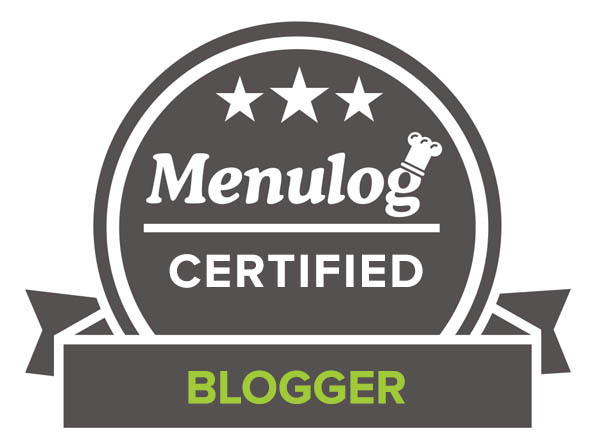 Nice to ‘meet you’ on FoodBuzz and thanks for the invite to come see your blog! These cupcakes are great. Can think of many adaptation for different situations. Very fun! I am glad you are enjoying my blog and you are so right – these cupcakes can be changed anyway!